*Payment plans of $412 per quarter (3 quarters) will be available to students accepted into this program. For most novelists, the ultimate goal is to get published. Before that, however, comes much revision, along with some frustration and confusion at a seemingly impenetrable system of submission, waiting, and hoping. Writing, Revising, Pitching is a class for people who have started a novel and seek to develop it in workshop, blended with a detailed look at how books are pitched and marketed. This class is designed for writers who already have something on the page, as writers will be asked to start with a project of at least 30,000 words. Over the course of nine months, writers will take their novel, receive detailed workshopping, then have ample time to plan and execute revision, receiving guidance from the instructor and the class as they continue, toward the goal of a second workshopping of the full revised work. The class will also become Charlottesville’s most intensive and thorough book club. The instructor will select three debut novels published within the past two years for the class to discuss from soup to nuts, exploring the techniques the author uses as well as how the publisher marketed and published the book, giving insight both into the structure of novel writing and the business of books. Work in any fiction genre is accepted, and writers of all levels are welcome to apply. This class is designed to help novelists take a novel-in-process and workshop it to a complete draft, or to take a full draft and workshop it to a more polished revision. Through workshopping and discussion, it will also help writers to approach the process with stronger analytical tools, helping to make both the writing and revision process less frustrating and more productive. The class will meet twice a month for nine months, from January 14, 2019, to September 23, 2019, with dates off for holidays. Prospective attendees will apply with a writing sample of up to fifty pages of a work-in-progress. Class size will be limited to ensure that all writers have the time to develop their own work while also giving detailed reads to fellow writers. Each writer will have two classes devoted to workshopping their writing, as well as one-on-one feedback and discussion with the instructor. The instructor will also select recently published debut novels and certain classes will be dedicated entirely to discussing those books, breaking down the choices the author has made and how writers can apply these techniques in their own writing. Also, how do publishers market these books, and were they successful, and how can this influence how a writer pens a submission letter, or pitches his or her own work? These issues and others will be discussed by the class to give writers a foundation on how to build a novel, how to revise it, and once it’s ready, how to get others interested in it. Class will meet for 18 sessions on 1/14/19, 1/28/19, 2/11/19, 2/25/19, 3/11/19, 3/18/19, 3/25/19, 4/15/19, 4/29/19, 5/13/19, 5/20/19, 6/3/19, 6/17/19, 6/24/19, 7/15/19, 8/12/19, 9/9/19, and 9/23/19. Prerequisite: Substantial progress of at least 30,000 words on the first draft of a novel must be achieved by all students. This class is limited to a maximum of seven writers. If there is enough demand, a second section may be added and writers accepted will be given a choice of schedules. Acceptance letters will be mailed to writers by 12/21/18. Upon acceptance, the remaining balance of the tuition will be due. Payment plans will be available for students who are accepted in this program. The first payment will be due on 12/28/18. Please note, this program is for novelists who are prepared to make a strong commitment to their work; students will be expected to participate in the entire program. The application period for this class is closed. 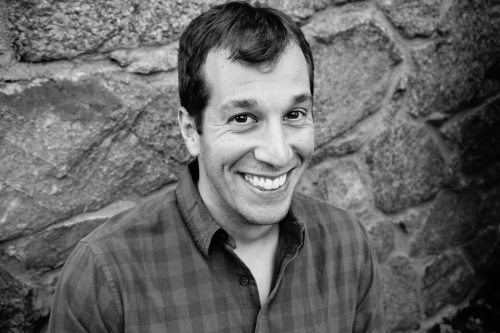 Randall Klein worked in publishing for a decade, starting at the literary agency Trident Media Group, then as an editor, first within the Random House Publishing Group, then for Diversion Books, where he acquired and edited over one hundred books across all genres. He is also the author of the novel Little Disasters, published in May of 2018 by Viking Books, an imprint of Penguin Random House.